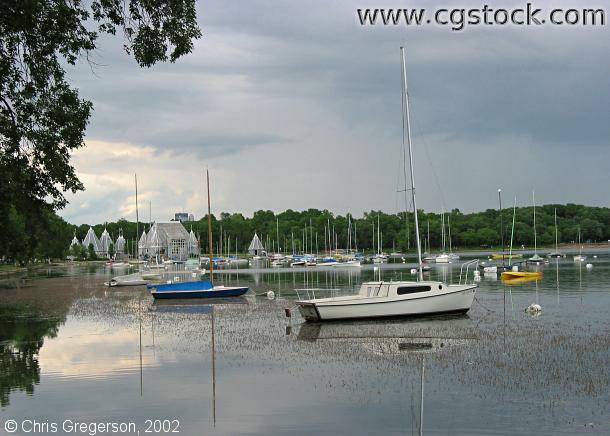 This view is looking north from the west shore of Lake Harriet. A storm is gathering. The plant stems breaking the surface of the water in the mid-ground are milfoil, which has been repeatedly cut back by harvesting machines.